Your dream vacation to Egypt is finally taking shape and you can't wait to get there to see the pyramids, the sphinx, and the ancient, wondrous relics that the ancient Egyptians left behind! However, without careful planning and the right knowledge your visit could be a disappointment and you may not get to have a 'true' experience of an ancient culture whose monuments still fuel the imagination today. Of course, a visit to Egypt is not complete without going out to the Giza plateau. Here lie the three Great Pyramids, some temple ruins, and the ever-mysterious sphinx. However, before you see these wondrous sites, hiring a tour guide is a smart, and surprisingly affordable, thing to do. They can arrange for you to see the sites that have limited viewings and will give you a deeper appreciation and a greater understanding of this ancient civilization so, in the end, you will feel that your trip had been complete and satisfying. 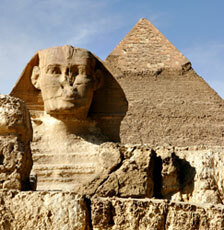 Plan on spending the day at the Giza plateau and take in the beauty and mystery surrounding it. Among other important spots to visit is The Valley of The Kings. This is where the boy-pharaoh Tutankhamen's untouched tomb was found. There are over eighty burials here in this series of valleys that interconnect one another. Your guide will fill you in on the best time to visit this on-going excavation site. When in Cairo, a visit to the Egyptian museum is a must-see. Ancient relics found in the pyramids are housed here and so are the mummies. Seeing the mummies can cause chills, but can also give an amazing insight into the ancient Egyptian world. At night, when the heat of the day disappears into the western horizon, Cairo awakens. Some may be surprised that Cairo is deemed to be one of the safest cities in the world. However, this is a perfect time to sample some great food and the modern Egyptian culture. When traveling in Egypt, there are a variety of ways to travel. However, a cruise down the Nile is the most peaceful, stress-free way to take in the sights. You can book a cruise that compares to a five star resort or sail on something a lot simpler and cheaper. These cruises stop at many ancient sites along the way giving you the chance to explore on your own, or with a knowledgeable guide. If you want to see ancient hieroglyphics, then Luxor (formally Thebes) is the best place to go. Here lie the temples of Karnak and Abu Simbel. There is also Neferatari's tomb where the hieroglyphics are spectacular. However, only 150 tickets are sold to this popular tomb per day, so make sure you're in the line at 6:00 A.M.! 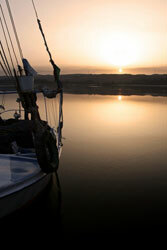 The best way to make sure your visit to Egypt is a pleasant one is to plan well and hire a guide. With over 90 pyramids, Egypt can be a vast place and you will surely get lost if your days are not well thought out. Read up on the culture before going and decide what sites would interest you the most. If all goes well, by the end of your exciting vacation, your mind will be open with the ancient perspective of this great, ancient civilization!